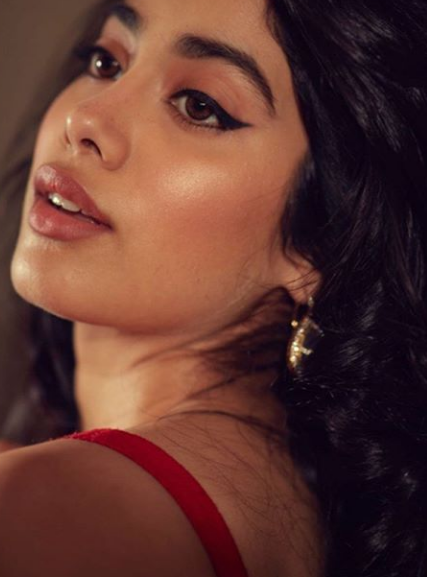 Janhvi Kapoor is making her own statements in Bollywood. Though her contemporary, Sara Ali Khan has moved way ahead of her, Janhvi Kapoor is not far behind. She has upped the glamor game a bit high these and is seen in enticing avatars these days. One such recent photo shoot of hers has gone viral and is breaking the next. Seen here is Jhanvi’s lip-smacking beauty which speaks a thousand words. Jhanvi has surely upped her game when it comes to films but is she hot looking or not, we leave it at your own imagination.